Toyota and Honda picked a bad time to take their foot off the accelerator in China. As the global car market went into a financial crisis-induced tailspin in 2008, Chinese demand kept expanding, accounting for one-third of the industry’s total growth over the ensuing five years. Last year, annual sales of passenger cars and minivans remained 9 and 14 per cent below their pre-crisis peaks in the US and western Europe respectively, and recovered to 2007 levels in Japan, according to automotive consultancy AlixPartners. Meanwhile, sales in China’s market more than doubled to 18.6m, making it the world’s largest. Toyota and Honda missed the party. Together with Nissan, the “big three” Japanese auto companies’ combined share of the China market crashed from more than one-quarter in 2008 to just 15 per cent in the first half. Toyota and Honda at least have some interesting excuses. Japanese car companies make for easy targets in China, especially at times of political tension between Asia’s two largest economies. Chinese nationalist passions boiled over in September last year, after the Japanese government purchased the disputed Senkaku Islands – known in China as the Diaoyu – from their private owner. Japanese car companies briefly halted production as angry crowds targeted their cars and dealerships. Some Chinese drivers cleverly presented the mob with a moral dilemma – and saved their Japanese cars – by plastering the vehicles with stickers of Chinese flags and other patriotic symbols. “We lost 50 per cent in sales immediately,” Carlos Ghosn, chief executive of Nissan, said as he delivered first-half results earlier this month. The carmaker is yet to regain the 7.7 per cent market share it enjoyed before the dispute. Toyota’s vehicle sales also dropped rapidly, with many customers cancelling orders and shunning showrooms. It was forced to reduce production temporarily in some plants by as much as 60 per cent. A series of industrial actions in 2010 that marked the beginning of the end of China’s cheap labour advantage also primarily affected Japanese car plants in southern China. The striking auto workers drew on lingering resentment over their country’s former wartime adversary. Many analysts, however, do not accept that geopolitics has been the main reason for Toyota and Honda’s poor performance in China over recent years. They point instead to inadequate plant expansions, low levels of localisation and other strategic errors that were made before Sino-Japanese relations hit their latest nadir. After last year’s turmoil, Toyota’s sales this September rose 45 per cent year on year, according to market research consultancy LMC Automotive, which collates data for every player in the market, while Honda and Nissan’s China business doubled. But all three companies’ sales over the first three quarters of 2013 remained largely flat or slightly down versus the same period last year, even as the overall market grew a robust 15 per cent. “The Japanese took a negative view of the market,” says Mr Naumann. “They simply ran out of capacity. There was demand but they just couldn’t supply it.” Toyota in particular, he adds, badly underestimated how fast the market would grow. Toyota enjoyed a bumper 2008 in China, attaining a 10 per cent market share and becoming the country’s second-best-selling brand after Volkswagen. But as the global financial crisis took hold, it froze development of a major plant in Changchun, a northeastern industrial centre, and delayed approval for capacity increases at other facilities. The Changchun plant, originally slated to have begun manufacturing in 2010, finally opened last year with an annual capacity of 100,000 vehicles. “We never thought of [China] as an El Dorado,” one Toyota executive admits. GM is now firmly entrenched in the number two slot. Some analysts are optimistic that Toyota and Honda have learnt from their mistakes and can bounce back, although it will be a difficult task in what is now the most competitive national market in the history of the auto industry. 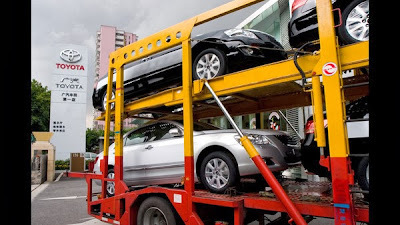 More than 100 manufacturers are active in China including every major multinational car company. Tatsuo Yoshida, auto analyst at Barclays, also believes Japanese manufacturers are at last addressing their deficiencies in China after concerns about intellectual property protection had for years dissuaded them from developing more vehicles there. But he expects that the US will remain their key market.